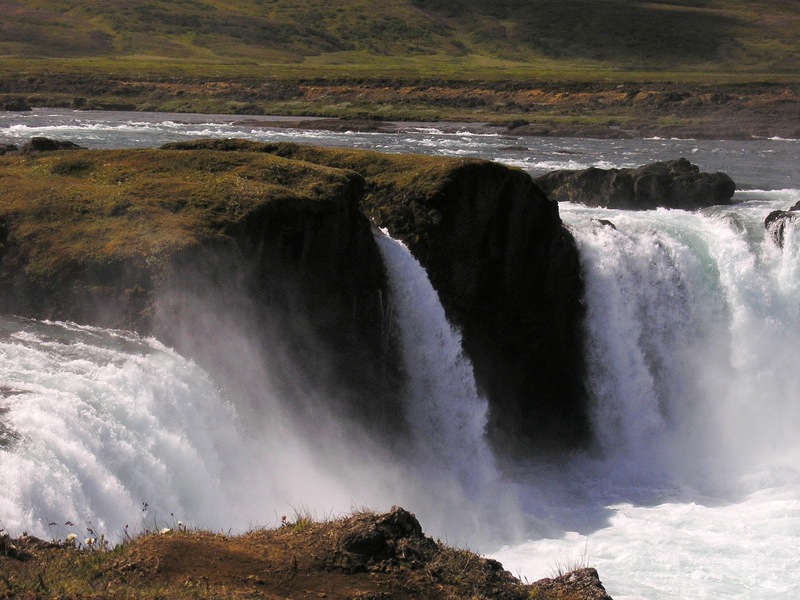 ﻿﻿Iceland is full of impressive waterfalls of all different kinds. A few of them we visited on our trips around the country. Here is a first selection of our pictures. Island hat viele imposante Wasserfälle, die ganz unterschiedlich aussehen. Einige davon haben wir bereits besucht. Hier ist eine erste Auswahl unserer Bilder. Godafoss is lush and verdant behind the rushing water. This is the first time I have ever seen waterfalls on Iceland! The pics of Rekyavik are also the first ones I have seen of the town. 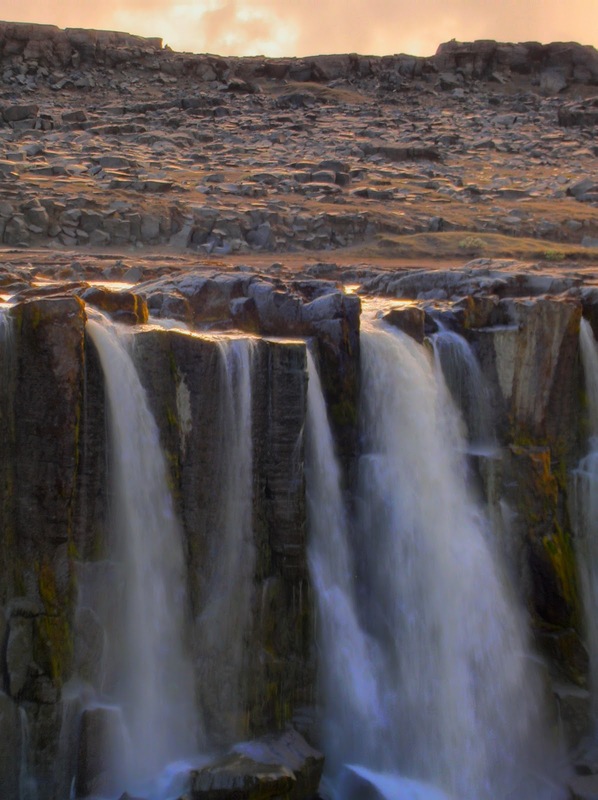 On the other hand the other beautiful waterfalls are juxtaposed to the barren, rocky background. When you first decided to travel to the island, what did you choose to read to get the most realistic information about being a visitor to Iceland? Is there a cultural pasttime that people engage in besides the knitting industry? 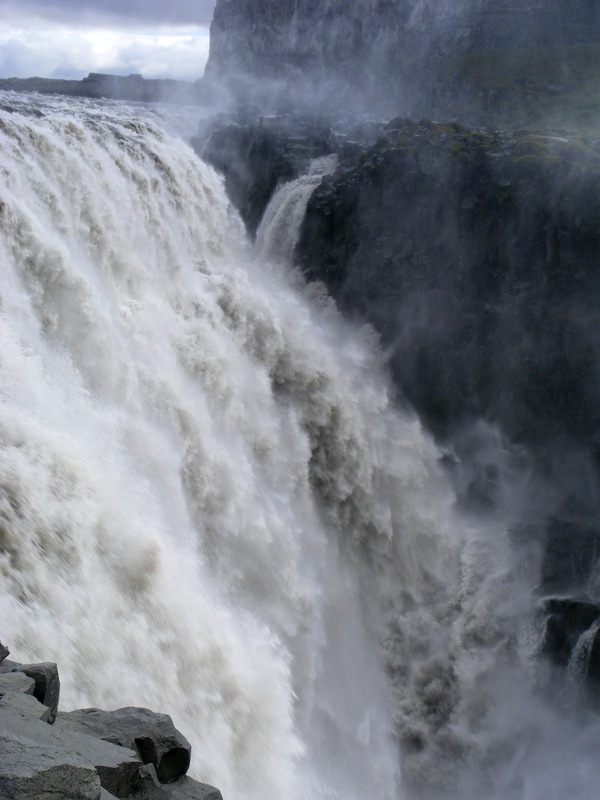 Iceland has a lot of impressive waterfalls. That is due to the fact that the landscape is relatively "young" in geolocial terms and the rock has not been washed down in all riverbeds. It is also due to the fact that the volcanic terrain consists of very different rocks and grades of hardness so these huge steps can be formed. Godafoss is one of my favorite waterfalls! I have been to Niagra Falls and they are much bigger, wider, taller... but Godafoss is still more impressive in a lot of ways. Maybe also because it is not so contained and kept. No walkways or railings and so on. Waterfalls are also nice motives for photography so there will be more pictures of them in this blog. Thanks for taking the time to explore my pictures!